I received a garbage bag full of hand pieced blocks. I have machine pieced the blocks together and have made 5 prayer quilts with them. Here is a sample. 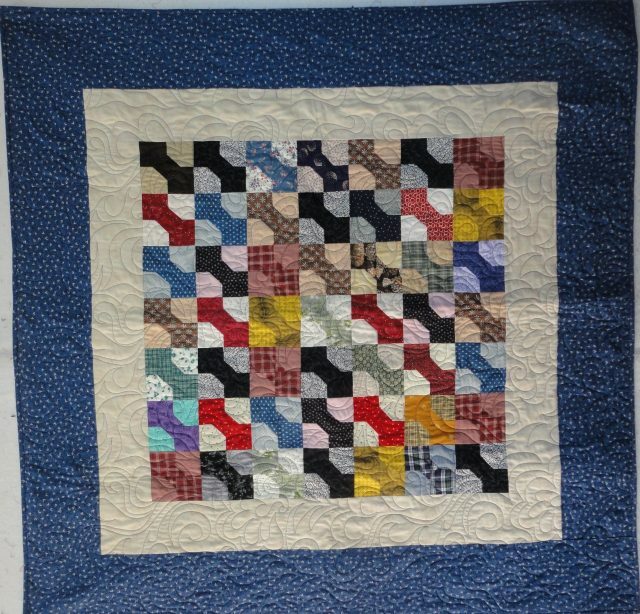 I LOVE bow tie quilts. 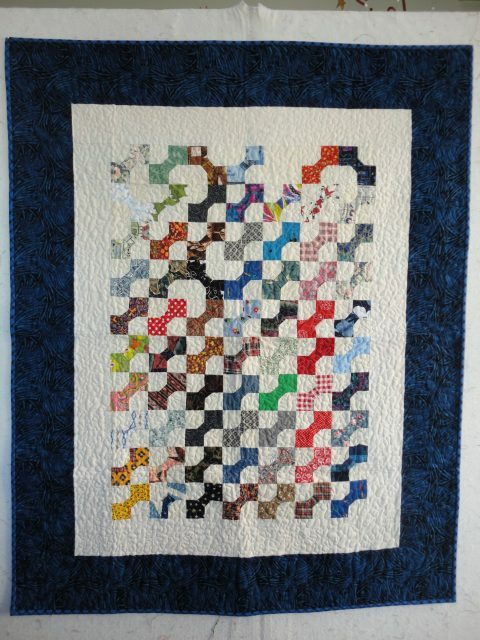 It was one of the first quilts I ever made, and I had no idea what I was getting into. My first one had “y” seams and was a real challenge to make, so it was only 24″ square. This one is constructed of hand-pieced blocks that were made by the same person who did the bat blocks, the roman bars and the hourglass blocks. The same fabrics are used in all of them. custodia cuffie iphone These blocks finish up at 3 1/2″ and are amazingly well pieced. Notice how the points match perfectly? Look at the crazy back I put on this one. It screams 1980, but so do the bow tie fabrics, so I think it’s a perfect fit! This bow tie quilt is made from 4″ finished bow tie blocks given to me by my friend, Michele. custodia batteria iphone x The difference between this one and the previous one is that the backgrounds on the bow ties are all different on this one. I think they are both charming and will provide warmth and comfort to the recipients. That’s my show ‘n’ tell for the day. I have to get busy and finish a quilt for Christmas now. 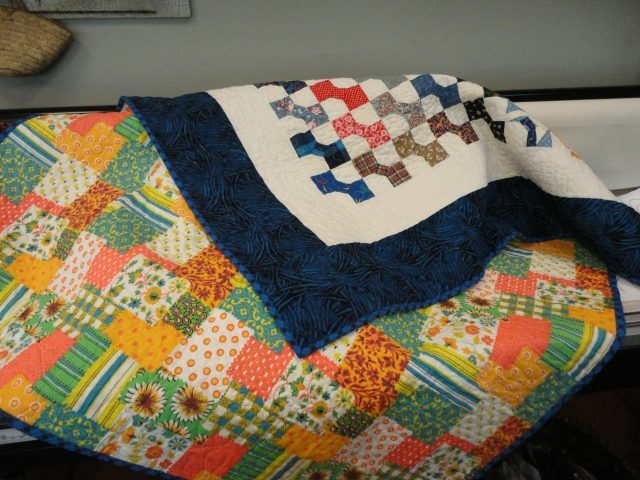 This entry was posted in Miscellaneous, Quilts. Bookmark the permalink. oops, as soon as I pressed send, I saw 2 more! that’s 4 in the “wrong” direction. ha! Amber, I am so impressed!!! You really looked at the quilts. You are right about one blank. I was one bow tie short and decided to leave an empty space. And the ones that went wrong, I decided to leave them to make it more whimsical. Don’t you love it?? Love it. The little details are what MAKES the quilt!